While it didn’t necessarily feel like it, over the last few weeks we’ve been on Irving Watch. This is, of course, a reference to Dallas Cowboys defensive lineman David Irving and the second-round tender the team placed on him about a month ago. According to ESPN’s Todd Archer, Irving is expected to sign it on Monday. Irving has really come on strong with the Cowboys since the team poached him off of Kansas City’s practice squad in 2015. He did deal with a suspension for the first four games of last season, and a severe concussion kept him out of the last four games of 2017, so it hasn’t exactly been a total home run. 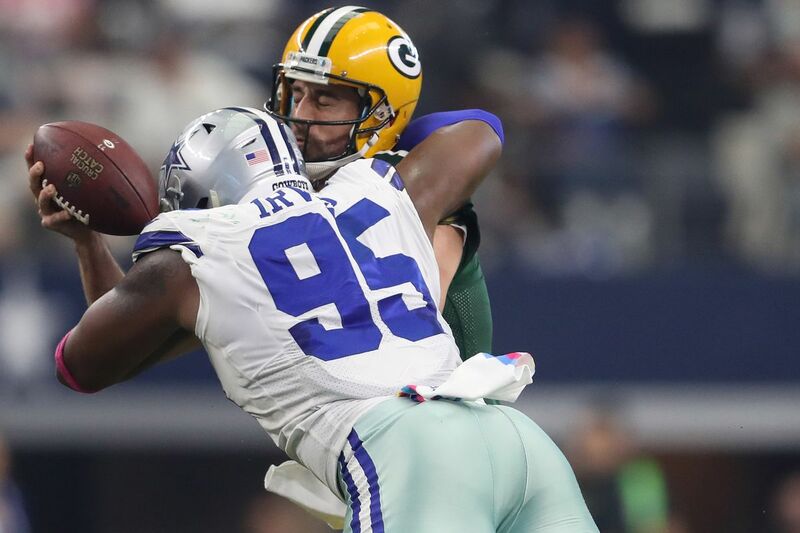 But during the eight games he played last year, he racked up seven sacks, second on the team to DeMarcus Lawrence, and he had six passes defensed. It was expected Irving would ultimately sign his RFA since no other team came forward with an offer. If he could continues to play well in 2018 and ultimately hits free agency in 2019, he should truly get paid. That’s a smart strategy. Let’s hope that whatever happens a year from now that it’s after the Dallas Cowboys celebrate a special season.